Healthy Meal Prep with MealPro for Dinner Tonight! Another What's for Dinner? Wednesday where I don't have to cook to enjoy a healthy dinner? I could definitely get used to this! 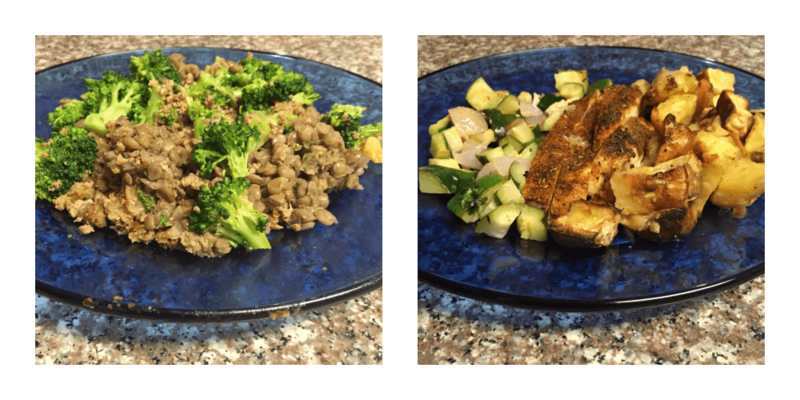 In case you missed it, last week, I shared my review of four meals from the Houston, TX based healthy meal prep and delivery company, SoSoFit Foods. This week, I'm sharing my experience with MealPro. 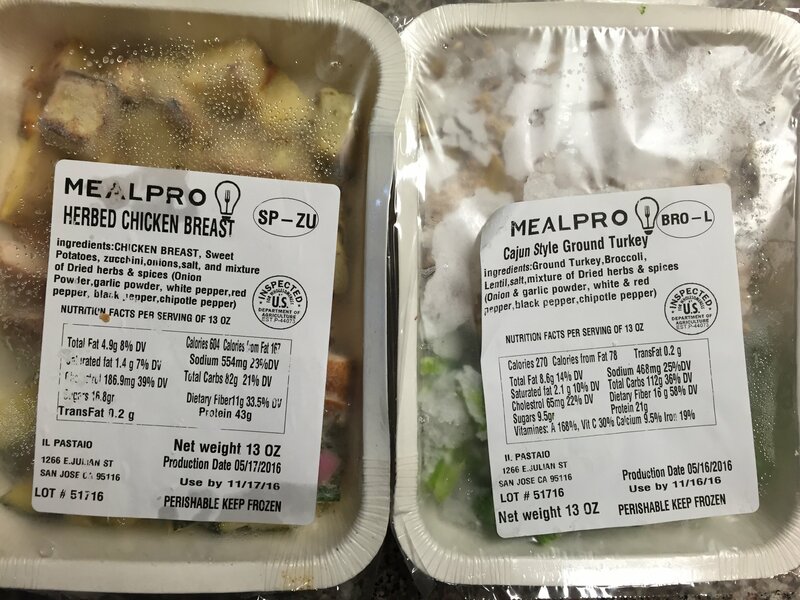 Unlike SoSoFit Foods, MealPro does currently deliver all over the United States. Why the obsession with healthy meal prep companies? Sure, I enjoy taking the night off from cooking as much as any other busy woman! But, the real reason (I swear!) I've been trying so many healthy meal prep options is to find resources for the participants in our upcoming Drop 2 Sizes Challenge. While we do offering custom nutrition plans at Fit Armadillo, our fitness challenge is designed to help women ditch a dieting mentality for a healthy lifestyle. Of course I love our meal plans, but the fact that they include measured out food items and calorie counts makes them problematic for this particular program. They could keep our participants from breaking away from the unhealthy preoccupation with calories that diets preach. 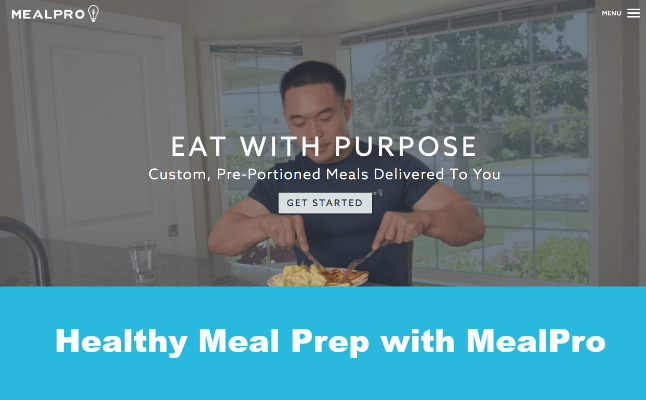 A healthy meal prep delivery company, on the other hand, IS a great tool for our fitness challenge participants. Sure, these companies prepare healthy meals, but they aren't diet foods. Instead, their proportions and style of meal prep are realistic for a healthy lifestyle and include real foods and fresh veggies. They're a wonderful way for anyone who's too busy to cook every night to break away from a fast-food or tv-dinner cycle and fall in love with healthy choices. First, I have a confession: I can be a picky eater. But, I'm also super passionate about foods I love like sweet potatoes and lentils. So when I first checked out the MealPro site and saw both I couldn't try just one meal! If you follow me on Facebook, you might remember me sharing my dilemma HERE. I ended up settling on Baked Chicken Tenders (served over lentils and zucchini) and Turkey & Veggie (with lots of sweet potatoes) for my meals and eagerly awaited their arrival. If you followed my posts on social media, you may be wondering why it took me so long to share my review (I first told you about MealPro early last month). Well, unfortunately, I didn't receive the meals I had ordered. Instead, I received Herb Chicken Breast and Cajun Style Ground Turkey. I have to give MealPro credit: they DID stand by their 100% money back guarantee, but it was difficult for me to get excited about cooking up these frozen meals. Especially, when I had new friends like Soleil and Monalisa stopping by to spoil me with just-made fresh healthy dishes. So I apologize for the delay in writing this blog post! I'm actually glad that there was a mix up with my order. BOTH meals were super tasty. If I hadn't defrosted them myself, I wouldn't have believed that's how they arrived! I could tell that the vegetables were farm fresh. My only regret is that I wish I hadn't waited so long to try out these meals. Cajun style ground turkey after being defrosted. Bet you couldn't tell I made it in the microwave! I'm super impressed and would definitely recommend that you try out MealPro. One thing that's nice about MealPro is that they recognize that your portion needs will vary based on your personal fitness goals. When you get to the site, you'll notice that there is a calculator that will help you figure out your general daily calorie needs and then recommend a protein portion based on that. While the calorie calculator is accurate (and even yelled at me when I tested it with an over aggressive weight loss goal), the protein portions for both regular and large sized meals are significantly larger than most people (and especially anyone with a weight loss or general fitness goals) need. Does this mean you should skip out on MealPro? It just means that one meal can actually serve as two! Based on the most recent updates in nutrition and recommend protein intake from the IDEA Nutrition Summit and our friends at ACE, 20-30g of protein is more realistic for a serving size. This means that a MealPro meal could make up two healthy dinners or lunches for you. I enjoyed just over half of my herb crusted chicken and the veggies as my dinner last night. Today, I'll have the rest of the chicken over a baby kale and spinach salad. 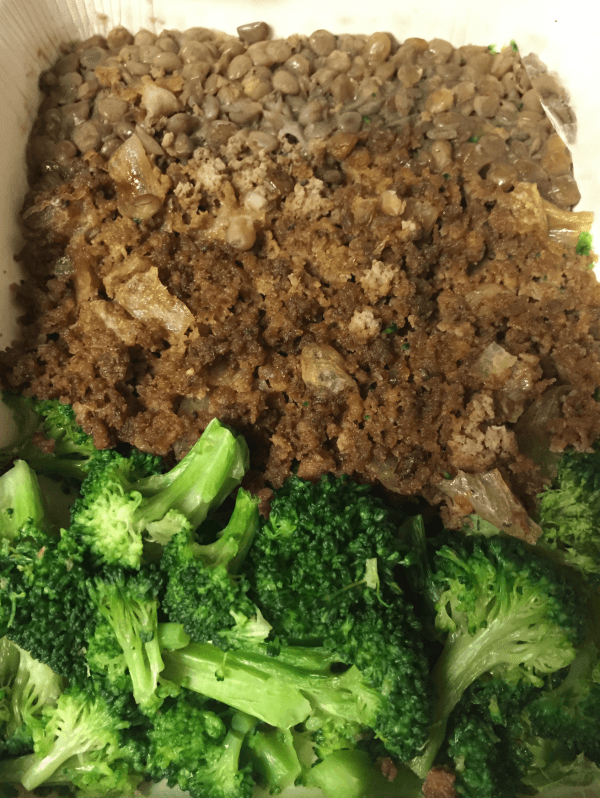 Another way to make your MealPro meal into two would be to enjoy part of your lean protein in a whole wheat wrap. Dinner is served! What each MealPro meal looked like after being prepared. All in all, my MealPro experience was amazing and I'd highly recommend trying them out! Yes, I tried meals I didn't order, but they were surprisingly delicious. Their customer service team is on point! They were quick to make things right. Thanks again, MealPro for making dinner for me! Pssst...Did this post make you hungry? Use coupon code 25BG when you visit MealPro to get 10% off your meal!